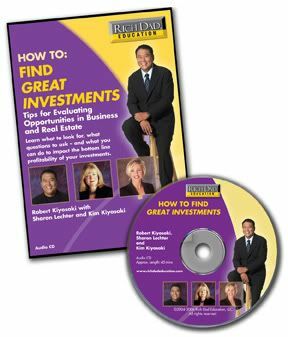 by Rich Dad Poor Dad co-founders Robert Kiyosaki, Sharon Lechter and Kim Kiyosaki. In the world of investments, the numbers tell the story! This audio program contains tips for evaluating opportunities in business and real estate. Robert, Sharon, and Kim share their expertise and experience so you can learn how to put more money in your pocket with tips for increasing the profitability of your investments. Learn what to look for, what questions to ask-and what you can do to impact the bottom line profitability of your investments.